05/15/2012 LaborLawCenter™ Launches Weekly Discount Offer "Hot Deals"
02/08/2012 LaborLawCenter™ Introduces Revised Warranty as "Unlimited Compliance Guarantee"
New 2012 Montana Labor Law Poster with New NLRA Notice Now Shipping! 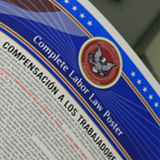 New 2012 Arizona Labor Law Poster with New NLRA Notice Now Shipping! New 2012 Vermont Labor Law Poster with New NLRA Notice Now Shipping! 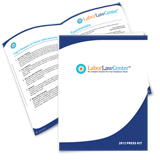 New 2012 Ohio Labor Law Poster with New NLRA Notice Now Shipping! New 2012 Florida Labor Law Poster with New NRLA Notice Now Shipping!